By unhappy coincidence, the row unleashed by institutional investors over executive pay at Royal Mail last week came just after the unveiling of the UK’s newly revised corporate governance code. It was a salutary reminder that egregious boardroom pay awards remain endemic despite repeated reform efforts on both sides of the Atlantic. An underlying message that should also be heeded is that abstruse matters of corporate governance and company law can have explosive political and economic consequences, most notably through their impact on inequality. Bad governance is an under-acknowledged factor in the populist tide that threw up US president Donald Trump, Brexit and much else besides. Admittedly, the connection between flawed governance and inequality is not straightforward. In the UK, income inequality as measured by the widely used Gini coefficient rose considerably in the 1980s when the Thatcher government was dramatically reducing income tax rates. Inequality has since fallen, though it remains well above its 1970s levels. Looked at in terms of the share of the top 1 per cent, the British plutocratic elite saw a rising income share from the late 1970s into the 2000s, but the trend then reversed a little after the financial crisis. Yet wealth inequality has since been greatly increased by the Bank of England’s post-crisis bond buying, which boosted the price of assets held mainly by the better off. Moreover, as Charles Dumas, author of a compelling new book on the economics of populism argues, it is people’s perception of their relative position rather than actual financial loss that matters — not least perceptions of inequitable sharing of the pain in the 2007-8 financial crisis, where bankers continued to draw bonuses while in receipt of bailout money from the taxpayer. Here, too, more recent boardroom pay episodes at such companies as Persimmon and WPP have reinforced the impression that business is run by a greedy, self-serving plutocracy. In the US, inequality is more extreme. The Gini coefficient has risen pretty consistently since the late 1960s to the present day, with the top 1 per cent hogging the bulk of the income gains of the past three decades or so. The trend has been exacerbated by redistributive taxation from the poor to the rich, first under the George W Bush administration, now under President Trump. Wealth inequality has increased markedly since the late 1970s partly thanks to stock awards to top executives at a time when ordinary people’s incomes have been stagnant. This has been accompanied by a huge widening of the gap between chief executive and average employee pay, which bears no obvious relation to improved corporate performance. It is also economically damaging. Economists at the IMF point to “the tentative consensus in the literature that inequality can undermine progress in health and education, cause investment-reducing political and economic instability, and undercut the social consensus required to adjust in the face of shocks”. All this, says Deborah Hargreaves, founder of the High Pay Centre, leaves many feeling the system is rigged by a greedy business elite that has imposed globalisation and trade liberalisation on a populace that discerns no benefits. These feelings endanger the corporate sector’s licence to operate as public faith in business and even capitalism itself is thus eroded. Flawed corporate governance is responsible for a different form of inequality, that between the corporate and household sectors, which damages the world economy. A lack of management accountability to shareholders in parts of Asia and especially Japan has encouraged an excess of savings over investment by business. With too much income bottled up in the corporate sector there is a shortage of household income and thus spending power in the economy. This has contributed to global imbalances and to increased debt in the US, UK and elsewhere. A similar lack of accountability afflicts Big Tech in the US, thanks to two-tier voting structures that protect founding entrepreneurs from effective oversight. This encourages a hubristic culture, which helps explain why Google faces a €4.3bn antitrust fine in Europe for abusing its power in the mobile phone market. It is also one reason why Facebook was slow to confront privacy issues around its users’ data and Apple to address smartphone addiction. Perhaps the most fundamental question in relation to corporate governance and the wider economy concerns the shortcomings of limited liability. As Mr Dumas argues in his book, this Victorian invention ensures that a company and its owners have only limited exposure to damaging consequences of their actions. Yet the implicit contract behind limited liability — companies pay tax in exchange for limited exposure — has broken down because globalisation has turned corporate taxes into an increasingly voluntary levy. Limited liability also contributed to excessive risk-taking in banking before the 2007-8 crisis. Amid all this potent governance arcana, a substantial reform agenda clearly needs to be addressed. MUNICH – In May 1998, irrevocable conversion rates for the currencies that would be merged into the euro were implemented. In a sense, this makes the single currency just over 20 years old. The first decade of its life had the feeling of a party, particularly in Southern Europe; but the second decade brought the inevitable hangover. Now, as we enter the third decade, the prevailing mood seems to be one of increasing political radicalization. The original party was a cornucopia of cheap credit, which capital markets happily issued to the countries of Southern Europe under the protection of the euro. For a while, these countries finally had enough money to increase public-sector salaries and pensions, as well as spur private consumption and investment. But the credit flooding into these countries created inflationary bubbles, which burst when the 2008 financial crisis in the United States spread to Europe. As capital markets refused to extend further credit, Southern Europe’s previously halfway-competitive but now overpriced economies soon ran into serious trouble. The Southern Europeans’ response was to start printing what they could no longer borrow. Aided by the European Central Bank – which loosened its collateral policy for refinancing credits and increased its tolerance for emergency liquidity assistance and credits under the Agreement on Net Financial Assets – they drew hundreds of billions of euros out of the monetary system through so-called Target overdrafts. And from 2010 onward, they were the recipients of EU fiscal rescue packages. 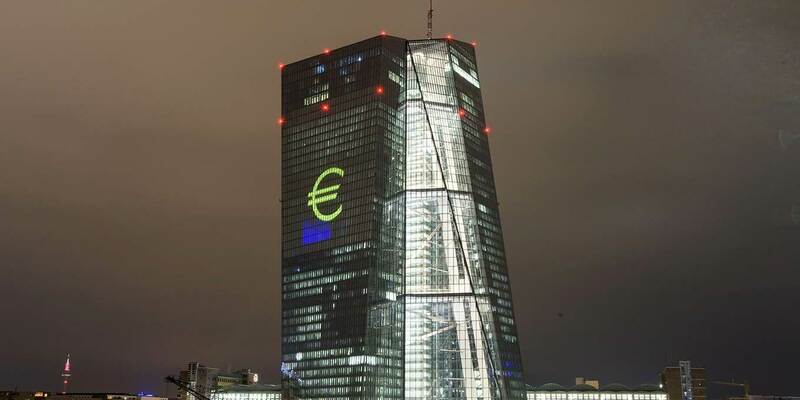 But, because financial markets viewed these rescue packages as insufficient, the ECB, in 2012, issued a promise to cover unlimited member-state government bonds under its “outright monetary transactions” program, turning them into de facto euro bonds. Finally, in 2015, the ECB launched its quantitative-easing program, whereby member states’ central banks bought €2.4 billion ($2.8 billion) worth of securities, including €2 billion of government bonds. Accordingly, the eurozone’s monetary base grew dramatically, from €1.2 trillion to over €3 trillion. But, rather than using the extra money to lubricate their domestic economies, Southern European countries used it to carry out payment orders to Germany. They forced the Bundesbank to credit the purchase of goods, services, real estate, corporate shares, and even whole companies – or at least to credit the filling of bank accounts in Germany that would be readily available for asset purchase should the risk of a euro breakup arise. The purchases of goods and services are one of the reasons for Germany’s huge export surpluses. By mid-2018, the net amount of payment orders to Germany through the Target system had risen to €976 billion. As a perpetual overdraft drawn from the Bundesbank, this money was not unlike the International Monetary Fund’s Special Drawing Rights, except that there is much more of it – a sum greater than all of the funds IMF countries are willing to loan to one another. Spain and Italy alone drew down about €400 and €500 billion, respectively. Despite – or because of – this windfall, Southern European countries’ manufacturing sectors are still a long way from regaining competitiveness. In Portugal, for example, the output of the manufacturing sector is still 14% below what it was in the third quarter of 2007, after the first breakdown of the European interbank market. And for Italy, Greece, and Spain, that figure is 17%, 19%, and 21%, respectively. Meanwhile, youth unemployment is above 20% in Portugal, more than 30% in Spain and Italy, and almost 45% in Greece. Now that we are entering the euro’s third decade, it is worth noting that Portugal, Spain, and Greece are all governed by radical socialists who have abandoned the concept of fiscal responsibility, which they call “austerity policy.” Worse still, Italy’s establishment parties have all been swept away. The country’s new populist government – comprising the Five Star Movement and Lega Nord – intends to increase the country’s debt substantially to pay for its proposed tax cuts and guaranteed-income scheme; and it might threaten to abandon the euro altogether if the EU refuses to play along. It is hard to see a clear path forward. Some argue for still more debt socialization and risk sharing at the European level. Others warn that this would push Europe into an even deeper quagmire of financial irresponsibility. The attendant capital-market distortion would cause severe economic damage, which Europe can scarcely afford, given its difficult global competitive position vis-à-vis an emerging China and an increasingly aggressive Russia and America. One way or another, the euro’s third decade will decide its fate. Hans-Werner Sinn, Professor of Economics and Public Finance at the University of Munich, was President of the ifo Institute and serves on the German economy ministry’s Advisory Council. He is the author, most recently, of The Euro Trap: On Bursting Bubbles, Budgets, and Beliefs. At dusk under a smoggy sky, in the heart of north-east China’s rust belt, workers in beige uniforms file out of Shenyang Machine Tool, a lossmaking state-owned enterprise that is a pillar of the regional economy. It looks like the end of any day in the company’s 35-year history, but workers know the factory’s best days are behind it. The manufacturing and construction boom that powered China’s economy, fuelling demand for heavy machinery, is winding down, and Shenyang Machine has posted losses every year since 2013, once government subsidies — of between Rmb29m and Rmb53m ($4.3m to $7.8m) — are excluded. The workers are oblivious to the company’s $78m loan from Bank of Shengjing, the largest regional lender in Liaoning province, whose capital city is Shenyang. But the nexus between lossmaking companies and regional banks has emerged as a key risk to China’s economy, where an explosion of debt since the global financial crisis has sparked warnings from the IMF and other watchdogs. Adjacent to the Shenyang Machine factory complex are several other struggling state-owned industrial groups that according to Economic Daily, a state-controlled media outlet, have also received loans from Bank of Shengjing, including Northern Heavy Industries and Shenyang Blower Works. Over the past 18 months, regulators have unleashed a “ windstorm” against Chinese banks, with rules to prevent out-of-control lending growth and risky funding practices that are especially prevalent among regional players. The forcefulness of the campaign, which has inflicted significant pain on weak corporate borrowers by denying them access to credit, reflects policymakers’ concerns that if left unchecked, problems at regional banks could spark contagion across the financial system. The connection between weak regional economies and local banks has also drawn the attention of investors such as Alexander Campbell, chief executive of Black Snow Capital, a New York-based hedge fund that has placed a bearish bet on Bank of Shengjing and other publicly traded regional lenders. In February, Brandon Emmerich, founder of Granite Peak Advisory, a research company based in New York, co-authored with Mr Campbell a ranking of “China’s worst banks” based in part on the stability of a bank’s funding sources and its exposure to various regional economies. Those in Liaoning were clustered near the top. “If and when China’s economic growth begins to sputter, problems will surface first in the set of small banks with fragile balance sheets and lending exposure to anaemic regional economies,” says Mr Emmerich. Several regional banks have already gone bankrupt in all but name before being bailed out and restructured by local authorities. Others have become piggy banks for local governments or politically-connected tycoons with an outsized influence over local banks. These lenders are largely not permitted to operate outside their home territory and are therefore highly dependent on local governments, state enterprises and entrepreneurs to support their businesses. An institution that refuses to lend to a local champion, even if doing so is risky, could find itself shut off from other, more profitable, projects. “The further out towards the tail you go, the sketchier it looks,” says Mr Campbell. Problems at small banks matter because their role in China’s financial system is growing. The country last year surpassed the eurozone to become the world’s largest banking system by assets. Meanwhile, small and mid-sized banks have more than doubled their share of total Chinese banking assets to 43 per cent in the past decade. And their role is set to grow further. Some 17 regional lenders are seeking approval for initial public offerings on the Shanghai or Shenzhen exchanges. “Once these former rural credit co-operatives were able to get real banking licences, you can’t imagine how happy they were. While the big players were more conservative, the small ones expanded as fast as they could, and now they’ve become a substantial part of the system,” says Han Hanjun, an economist at the Shanghai Academy of Social Sciences. Bank of Shengjing and Shenyang Machine both declined to comment for this article. Mr Campbell has never been to Liaoning, but when he looks at balance sheets of the region’s banks, he has a feeling of déjà vu. In 2008, as a proprietary trader of bank shares at Lehman Brothers, he witnessed first hand how banking crises unfold. For him and other observers, the risk posed by regional lenders comes not only from their exposure to weak companies such as Shenyang Machine but also from the way these banks obtain funding to make these loans. Traditional banks rely on deposits from households and companies to fund their lending. Banks in which deposits comprise a large share of total liabilities are viewed as safe because deposits are unusually “sticky”. In the UK, for example, the average retail account holder stays with their bank for 17 years, longer than with their spouse at 12 years. “As an investor, you’d love to see a bank that’s completely deposit-funded. Once you see banks levering up through non-deposit sources, the cost of funds increases and you develop the potential for an interest rate shock or a liquidity shock,” says Jason Bedford, executive director for Asian financial institutions research at UBS in Hong Kong. “Interbank funding is very short term. It can be here today and gone tomorrow,” he adds. In China, regional banks struggle to attract deposits because regulators rarely allow them to open branches outside their home provinces. Yet they have displayed a voracious appetite for growth. In a country where licences for tightly-regulated sectors like banking are a scarce commodity, entrepreneurial managers of regional banks viewed their upgrade from rural co-operatives as a golden ticket. “To rise from a small local lender to achieve the size and stature we are today — it took incredibly hard work. You can’t even believe the challenges we’ve overcome,” says an executive at a regional lender in north-east China. With modest deposit growth unable to satisfy their appetites for balance-sheet expansion, small banks turned to volatile, wholesale borrowing from other banks. The share of deposits in total liabilities at regional banks fell from 73 per cent to 64 per cent between 2013 and 2017, according to Mr Bedford’s data from 244 Chinese lenders. For the institutions that have grown most aggressively, the share of deposit funding is even lower. At Bank of Shengjing, it was 48 per cent at the end of 2017, while at Bank of Jinzhou, another Hong Kong-listed bank in Liaoning, it was 52 per cent. Bank of Jinzhou said in an emailed statement that its “risks are controllable”. At Wells Fargo, the largest pure commercial bank in the US, deposits were 77 per cent of total liabilities last year. “A lot of regional banks only care about short-term profits. They just grab what is right in front of them but don’t consider a long-term development strategy,” says Mr Han. In addition to exposure to weak regional economies and reliance on volatile funding sources, a third element adds to risks at these banks: the use of complex financial engineering and creative accounting to expand lending beyond regulatory limits. A decade ago, much as bank liabilities were mostly customer deposits, banks’ asset portfolios were also simple and transparent, comprised mainly of corporate loans and home mortgages. But breakneck growth pushed banks up against lending limits set by the People’s Bank of China. In order to keep loans flowing without directly violating central bank quotas or rules on capital adequacy and loan-loss provisioning, regional banks resorted to financial innovation. By partnering with non-bank financial institutions like trusts, securities companies, and fund managers, they were able to transform loans into assets recorded on their balance sheets as “ investment receivables”. Baoshang Bank Following the abduction of billionaire Xiao Jianhua from Hong Kong last year by mainland agents, Mr Xiao is working with authorities to sell assets from his conglomerate, Tomorrow Group. According to Caixin, the financial news outlet, Tomorrow Group is seeking a buyer for half of the group’s 70 per cent stake in Baoshang Bank, based in Baotou, Inner Mongolia. But Tomorrow Group is not just a shareholder in Baoshang, it is also apparently the bank’s biggest client. Baoshang’s disclosures state that exposures to one borrower of shadow loans equalled 122 per cent of net assets — far higher than the banking regulator’s 15 per cent limit, which applies only to a bank’s formal loan book. Though this borrower is not named, its description matches reporting by Caixin, which quoted an unnamed source describing Baoshang as a “piggy bank” for Tomorrow Group. Baoshang declined to comment, and Tomorrow Group could not be reached. Disguised loans took the form of financial products with exotic names such as “trust beneficiary rights” and “targeted asset management plans”. These products are loans in all but name, but they allowed banks to abide by formal loan quotas and lower risk-weighted assets, which are used to measure capital adequacy. At Bank of Shengjing, formal loans comprised only 26 per cent of total assets at the end of last year, while shadow lending was 54 per cent. At Bank of Jinzhou, shadow loans are 56 per cent of total assets. Bank of Fuxin The gross domestic product of Fuxin city in Liaoning province shrank by 12.2 per cent in 2016, according to official data, although the reported decline probably reflects recognition of inflated GDP figures in previous years. That same year, the provincial government arranged a bailout of Bank of Fuxin that involved sales of non-performing loans worth Rmb11bn — or 22 per cent of the bank’s total loan book — at face value to a group of five state-owned institutions. But there was a catch: about a third of these NPLs were apparently packaged into special purpose vehicles in which the bank itself then invested, says Jason Bedford, a UBS Asia financial institutions analyst. The arrangement means that the bank remains exposed to bad loans that the clean-up was ostensibly designed to erase. Despite the risks, most analysts do not expect problems at small Banks to erupt into systemic crisis. The central government has the financial resources and technocratic expertise to extinguish small fires before they blaze out of control, and several small banks have been quietly bailed out with minimal systemic impact or even public awareness. Still, small banks are expected to face significant turmoil as they adapt to new regulations intended to curb their risky behaviour. Banks lobbied fiercely to dilute a draft framework, published in November, that would limit their ability to transform loans into “investments”, but the final version was largely unchanged apart from extending the phase-in period to the end of 2020. Bank of Dalian Based in the provincial capital of economically distressed Liaoning province, Bank of Dalian underwent two bailouts in 2015 and 2016. Six board directors and five senior executives were replaced. China Orient Asset Management, one of the country’s dedicated bad loan banks, acquired 21 per cent of its loan book in exchange for a 50.3 per cent stake in the lender. Last year, the China Banking Regulatory Commission also capped the share of interbank borrowing in total liabilities at 33 per cent. As a result, the share of deposits in total liabilities for the overall banking system increased by four percentage points to 72 per cent, though it is still below 79 per cent at the end of 2013, according to Mr Bedford’s data analysis. At the same time banks’ asset structure is also improving, with banks’ reducing their partnerships with non-bank financial institutions that helped them invest in disguised loans. “The theme underlying these various moves is a push for banks to return to their traditional business model of taking deposits and making loans, and to reduce their use of investment products,” says Chen Long, an economist at Gavekal-Dragonomics, a Beijing-based research company. “SELL in May and go away,” say the denizens of Wall Street, and to the usual summer lethargy is added the excuse of a heatwave. But for those working in private equity, there is no let-up. The “shops”, as private-equity funds like to call themselves, are stuffed with money and raising more: $1.1trn in “dry powder” ready to spend around the world, according to Preqin, a consultancy, with another $950bn being raised by 3,050 firms. So hot is the market that there are rumours of money being turned away. Even the firms themselves, which receive fees linked to assets under management, cannot fathom how to use all that may come their way. It is not for want of trying. The year to date has seen nearly 1,000 acquisitions (see chart 1). Health care has been particularly vibrant. Even more noteworthy than the volume of money pouring into private equity is the way the business is maturing. Banks are reconfiguring their operations to serve such a transaction-heavy clientele. 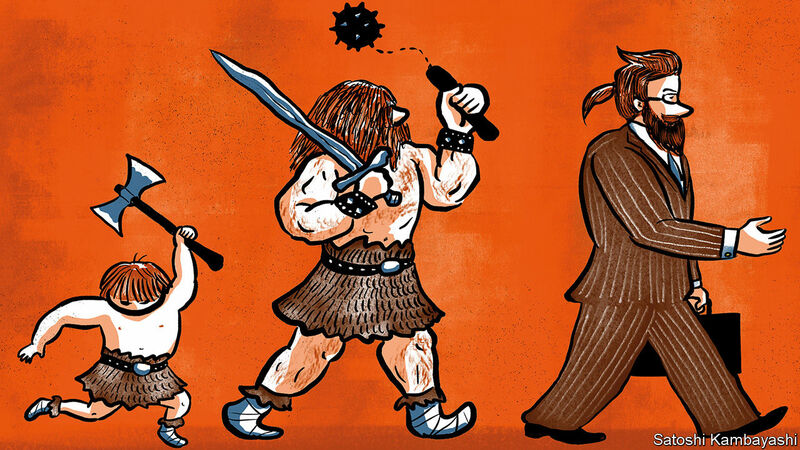 Limited partners—the public-pension schemes, sovereign-wealth funds, endowments and family offices that provide the bulk of private-equity investment—are playing more active roles. It all adds up to a stealthy, but significant, reshaping of the financial ecosystem. Data on returns are patchy. Odd measures are often used to gauge performance and disclosure is intermittent. But there is plenty of reason to believe that private-equity funds have done well in the past decade. Low interest rates have favoured their debt-heavy business model. Rising asset prices have made it easy to sell for large gains. And some recent clouds on the horizon have dissipated. Mooted tax reforms would have stopped private-equity firms from deducting the interest they pay on debt from their taxable income and forced their managers to pay the personal-tax rate on their investment profits (or “carried interest”), rather than the lower capital-gains rate. In the event, however, the new rules brought in last year did not touch carried interest at all and only slightly reduced the benefits of debt. Another fear had been that regulations would become less supportive. Jay Clayton, who took over at the Securities and Exchange Commission (SEC) last year, made it clear that he wanted to see a shift towards public markets. He noted that the loss of companies to private equity had denied opportunities to small investors. A flurry of public offerings followed his appointment, including sales by private-equity firms. But the burdens of being listed remain heavy. These include onerous filing requirements and the knowledge that routine business decisions may become the subject of caustic public debate. The result is that the value of public companies being taken private continues to rise (see chart 2). The figures understate the trend, since they omit the growing number of large companies selling off divisions to private-equity firms. These deals attract little attention—which is partly the point. Headquarters do not move; senior executives keep their jobs. Recent examples include the decision by J.M. Smucker, a food company, to sell its baking business to Brynwood Partners and GE’s move to sell its industrial-engines division to Advent International. Similarly unremarked is the rising number of transactions in which one private-equity firm sells to another, rather than listing an asset on the public markets. Private equity’s growing heft has knock-on effects throughout the financial sector. Goldman Sachs has 25 merger bankers assigned to private-equity firms, working on deals alongside colleagues who focus on specific industries. Its analysts monitor 5,500 private-equity holdings—50% more than the number of listings on the American public markets. The other big institutional banks, such as Morgan Stanley and JPMorgan Chase, are just as attentive to private equity. The most significant change may be in private equity’s investor base. In the past two years the number of limited partners with more than $1bn invested has grown from 304 to 359. Together they account for $1.5trn—half of all private-equity money, according to Preqin. And this statistic does not fully capture their growing activism. As well as placing cash in private-equity funds, they increasingly “co-invest”—ie, take direct stakes in a buy-out. The advantage for limited partners is that they avoid management fees—often 2% annually, plus 20% of profits. Private-equity funds gain from being less reliant on each other. Not long ago, large deals often required several funds to collaborate. The purchase of Nielsen Media in 2006, for example, involved seven. That alarmed antitrust regulators, complicated management and made it hard to exit from investments, since many potential buyers were already co-owners. The value of deals done by more than one private-equity firm has fallen by half since the Nielsen deal. Even when firms work together, the average number involved is smaller than it was. 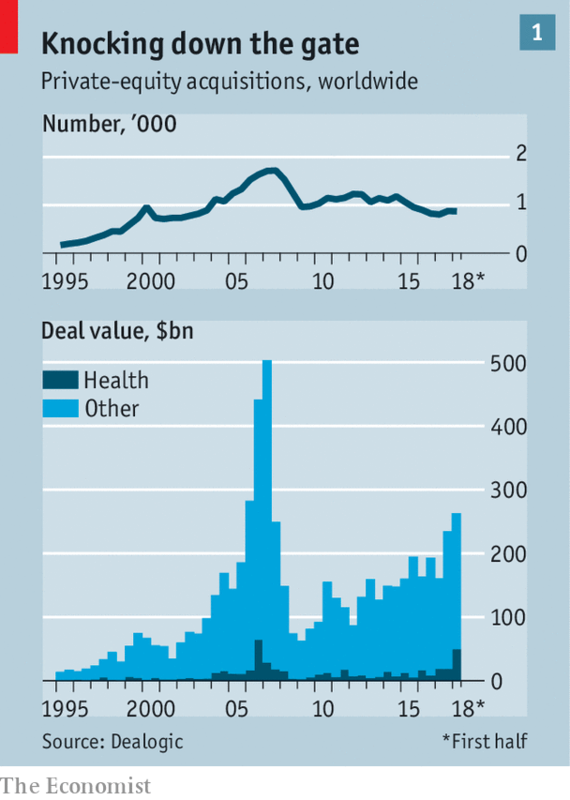 For the biggest deals, private-equity firms are today making acquisitions solo and then syndicating large stakes through co-investments to limited partners. Notable among numerous recent examples are Blackstone’s purchase of Thomson Reuters’ finance and risk division in January for $20bn, and Carlyle’s of the specialty-chemicals division of Akzo Nobel, a Dutch multinational, in March for $12bn. The process often begins with a phone call by a private-equity firm to big, sophisticated investors such as GIC, Singapore’s sovereign-wealth fund, or CPP Investment Board, a giant Canadian pension fund. They can quickly put together teams to analyse transactions. Smaller limited partners are brought in later if needed, along with select outsiders, notably family offices. This trend does not just reduce risk for private-equity managers. It also underlines a change in financial markets. Why should companies accept the costs and scrutiny that come with selling shares to the general public when there is a sophisticated, rich, private alternative? And when the time comes for one private-equity owner to sell, another private-equity fund can put together such a network to buy. Brokers and exchanges developed a century ago to help companies tap money where it lay—in individual pockets. Today that capital increasingly lies elsewhere. The Currency Crisis of 2018? It’s not too early to consider whether what’s happening in Turkey is simply a Turkish matter. What do the Turkish lira, the Iranian rial, the Russian ruble, the Indian rupee, the Argentine peso, the Chilean peso, the Chinese yuan and the South African rand all have in common? They’ve all declined steadily this year, and some have depreciated dramatically in the past two weeks alone. But this isn’t the whole story. The whole story is that each of these countries is sitting on a ticking time bomb of U.S. dollar-denominated debt. This story has been long in the making. In the 1990s, many countries began to accumulate large amounts of debt denominated in U.S. dollars. It was an effective way to kick-start economic activity, and so long as their own currencies remained relatively strong against the dollar, it was fairly risk free. From 1990 to 2000, dollar-denominated debt tripled from $642 billion to $2.17 trillion. The problem may now be coming to a head. Dollar-denominated debt has ballooned. 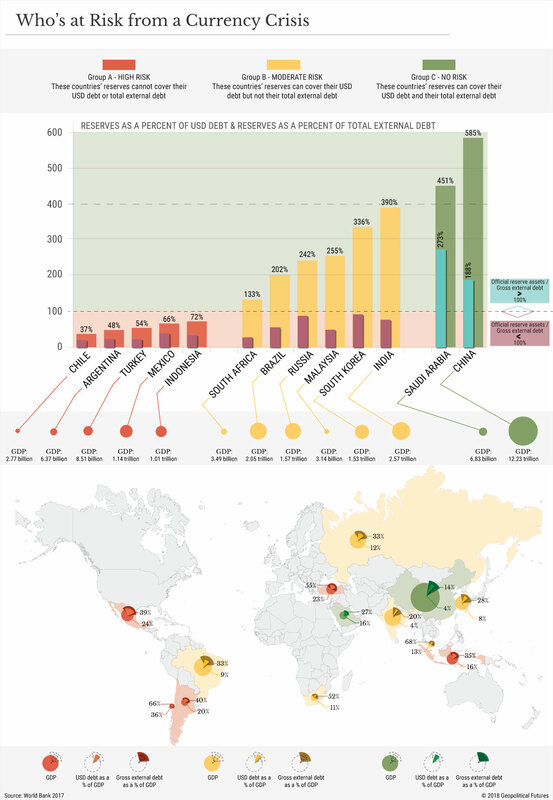 In its latest quarterly report, the Bank of International Settlements found that U.S. denominated debt to non-bank borrowers reached $11.5 trillion in March 2018 – the highest recorded total in the 55 years the bank has been tracking it. Meanwhile, the dollar has strengthened amid a tepid global recovery from the 2008 financial crisis. As the currencies of indebted countries weaken against the dollar, it is becoming harder for some countries to pay their debts. This could be a bubble waiting to pop, especially if vulnerable countries don’t have the monetary policy options to protect themselves. Such was the case for Turkey, which is particularly susceptible to the vagaries of currency depreciation. The value of the lira had been declining for some time, but it dropped dramatically late last week. At nearly $200 billion, almost 50 percent of Turkey’s gross external debt is denominated in dollars. (Turkey’s General Directorate of Public Finance, which, unlike BIS, accounts for financial borrowers, puts that figure at nearly 60 percent.) The situation became progressively more dire through a combination of political uncertainty, unorthodox monetary policy and, most important, U.S. interest rate hikes. Turkey’s dollar-denominated debt is now almost twice as much as its total foreign reserves. But Turkey isn’t alone. A number of emerging market currencies that were already down on the year nosedived as the news of the lira’s demise began to circulate. The starkest decline was the Argentine peso, whose value against the dollar dropped 9.5 percent in just a week, and the South African rand, which fell roughly 8 percent. Other currencies have been affected too – the Chilean peso, for example, has fallen 3.4 percent in the past week, while the Indian rupee hit a record low on the dollar during trading on Aug. 14. What these countries have in common is that they are all on a 13-country list released by the Bank of International Settlements. Together, they constitute 62 percent of all dollar-denominated debt held by emerging market economies. Turkey was one of the most vulnerable on the list, but there are four other countries facing similar challenges: Argentina, Mexico, Chile and Indonesia. Argentina’s peso is already in free fall. The government announced on Tuesday that it would sell $500 million worth of reserves and raise interest rates to stop the peso’s fall. Then there is Mexico, which, at $271 billion, holds more dollar-denominated debt than any other country on the list except China. This far exceeds Mexico’s official reserves. As with Turkey, dollar-denominated debt is a disproportionately large share of Mexico’s gross external debt, at roughly 60 percent. (For perspective, Mexico’s gross external debt to GDP is 39 percent, so the dollar’s influence over Mexico is particularly strong.) So far, the Mexican peso has held steady; it is slightly up on the year, and down just 0.3 percent in the past week. But if the Mexican peso begins to weaken on the back of tougher-than-expected NAFTA negotiations, political instability surrounding the new president or any other contingency, Mexico could be as bad off as Turkey is now. The story is similar for Indonesia and Chile. Of the two, Indonesia is in slightly better shape. Its gross external debt is 35 percent of GDP, and 47 percent of that is denominated in dollars. But Indonesia doesn’t have a lot of reserves, and its currency has been showing signs of weakness, down almost 10 percent against the dollar this year. Chile’s percentage of dollar-denominated debt as a proportion to GDP is the highest of all BIS reporting countries – a whopping 36 percent. Chile’s gross external debt-to-GDP ratio is 66 percent. Most concerning, however, is that Chilean reserves totaled just $37 billion in June 2018, equal to about a third of its total dollar-denominated debt of $100 billion. The five other countries are in a better position when it comes to reserves. Though they hold larger amounts of dollar-denominated debt, they have plenty of reserves. The issue for these countries is larger external debt. A strong U.S. dollar won’t cripple these economies, but it could put enough pressure on them to compel monetary intervention. Particularly well insulated from the budding currency crisis are China and Saudi Arabia. China’s currency has been under pressure in recent weeks, but so far China has chosen not to let the yuan slide too far. China holds $548 billion in dollar-denominated debt, but that makes up just 4 percent of China’s GDP, and China’s gross external debt to GDP is 14 percent – the lowest of the countries on this list. China also has a war chest of $3.2 trillion in foreign reserves that it can deploy. Saudi Arabia has the benefit of ample foreign reserves too – and it will certainly have to use them. The Saudi rial is pegged to the dollar. This offers stability but comes at a price: Saudi Arabia has to buy and sell reserves to maintain the peg. Though Saudi Arabia has more than enough money to play around with, it has less than it once did. Indeed, it’s been burning through its reserves in recent years – $233 billion since 2014 – to fund its adventurism abroad and its government deficit. Riyadh has no shortage of problems it needs to solve. But the currency crisis likely isn’t one of them. This is hardly an exhaustive list. The economies surveyed by BIS make up just 37 percent of total dollar-denominated debt held worldwide, meaning there is another $7.2 trillion in such debt in the global system to account for. What started in Turkey may well spread to other countries excluded from the BIS report. Again, Turkey was uniquely susceptible to this sort of thing. The country has low savings rates and high inflation rates and all but refused to make the politically unpopular decision to raise interest rates before it was too late. We will investigate whether the other countries identified in the BIS report have similar structural problems that could aggravate their exposure to a stronger U.S. dollar. As for Turkey, most of the polices that created its economic problems are still in place, even though investors were somewhat encouraged by the central bank’s promise to pump as much liquidity into the system as necessary. Turkey’s economy will get worse before it gets better. The more important question now is whether that will spread to other vulnerable countries. The most worrying at this point are Argentina, Mexico, Indonesia and Chile. It’s too early to call a full-blown global financial crisis, but it’s not too early to begin to consider whether what’s happening in Turkey is simply a Turkish matter.